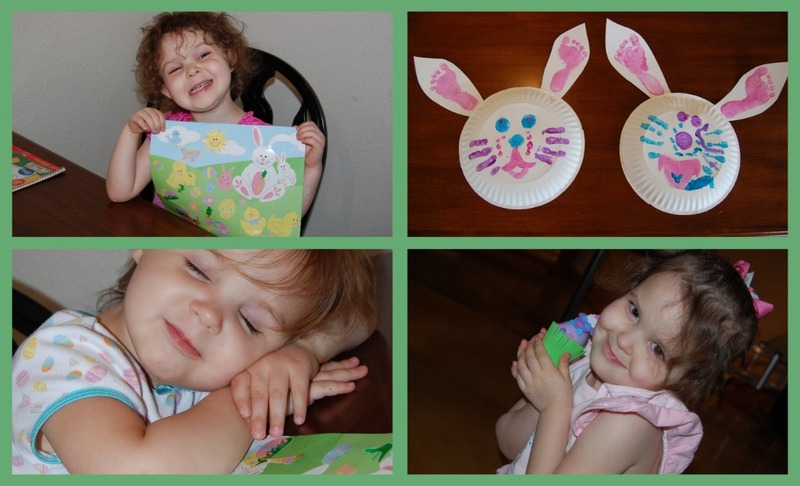 Mom of My Dreams: Easter Week 2011! We had so much fun this year! Here is a look at how we spent the week of Easter! 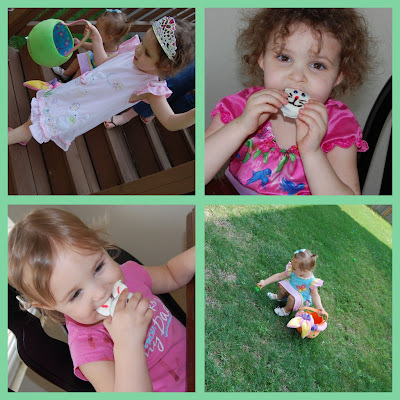 Yummy bunny cookies and an egg hunt play date! 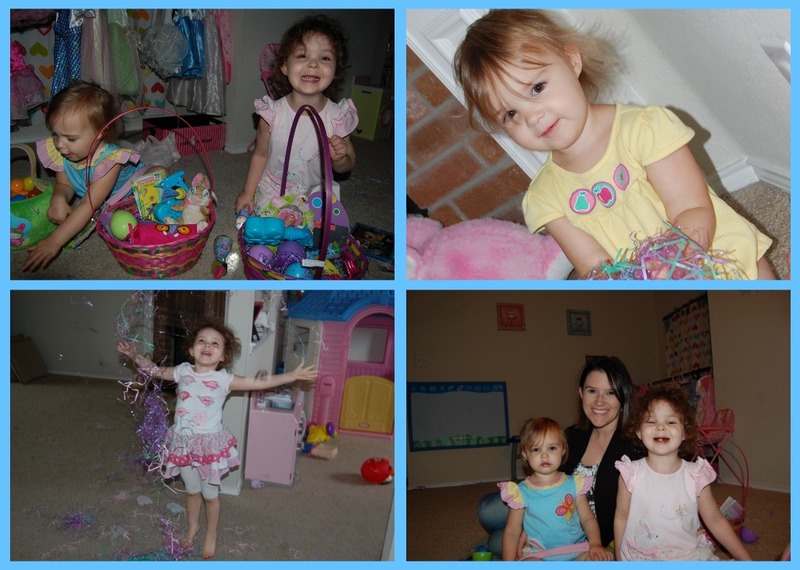 The Spring Time Bunny came while we were out and hid tons and tons of eggs in the upstairs playroom! He hid their baskets behind their dress up clothes! When we got home that night it was already dark and the girls found their baskets with their flashlights in them and a note from the Spring Time Bunny. The Spring Time Bunny told them to go upstairs and look for eggs with their flashlights! 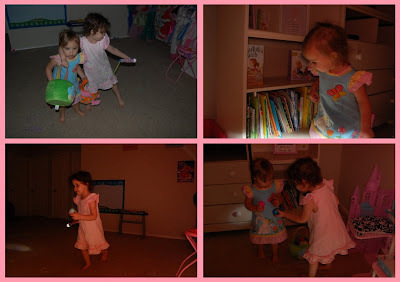 Our first flashlight egg hunt and it was A BLAST! It was like Christmas for the girls!!!! 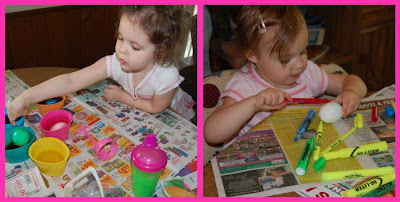 It was so sweet to see Allie help Kenzie find eggs instead of gathering them for herself. 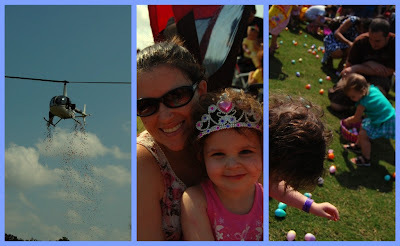 We went to a helicopter egg drop for the second year in a row! And the girls got to color eggs and have an egg hunt at Grandpa's with their cousins.